It is 00:50 and I have just about finished posting one of my recent photos on the Social Networks called “Legs”. 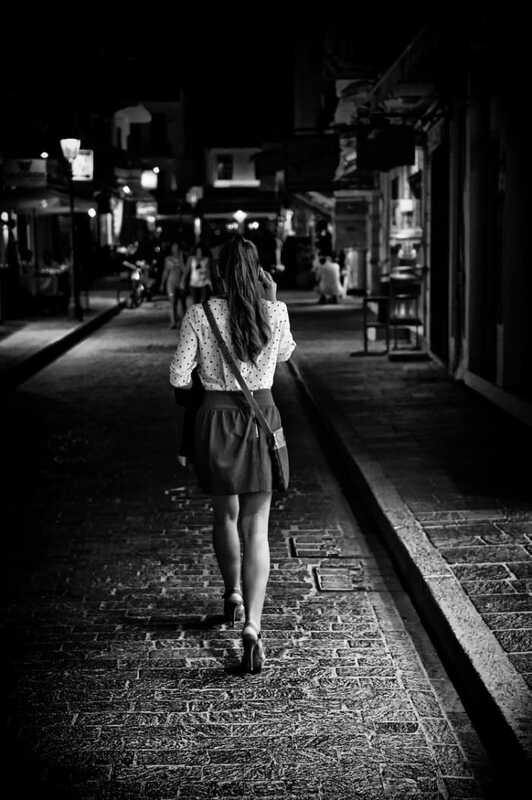 “Legs” is a photo about a girl in a skirt walking in the street at night. She has great legs as you can imagine by the title and they inspired me to capture her, freeze her in time. What I felt, the anticipation, the satisfaction after the shot, the thrill, all those feelings are some of the reasons why I just love Street Photography!